WEST POTTSGROVE, Pa. (WPVI) -- Authorities in Montgomery County have arrested a man in a fatal racing crash in West Pottsgrove Township that killed a man, a woman, and her unborn child. The suspect is identified as 22-year-old Shone Santiago. 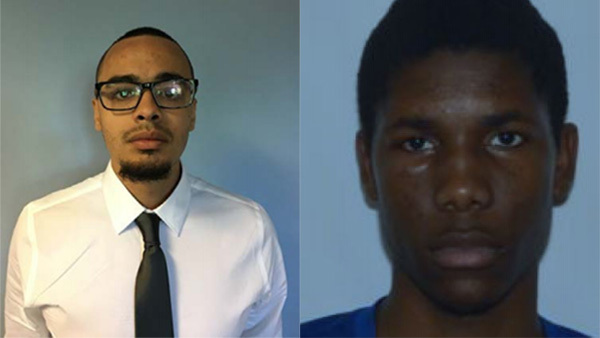 Police have issued an arrest warrant for the driver of the second car, Evaughn-Sha Walters, 21, of Washington, D.C.
West Pottsgrove Township police responded to a report of a one vehicle crash on Route 422 around midnight on February 4. Investigators found that a BMW had crashed through the guard rail, left the roadway and launched down an embankment into a ravine. The BMW was found on its roof more than 200 feet away from where the car left the roadway. The driver, later identified as Santiago, and two passengers were trapped inside the car. Santiago was removed from the car by the fire department and flown by helicopter to Reading Hospital. Passengers Anthony Rodriguez, 23, Marissa Kelly, 20, were both pronounced dead at the scene. Authorities say Kelly was pregnant at the time of the crash, and her unborn child also died. West Pottsgrove Township police and the Montgomery County Detective Bureau began a joint investigation. Investigators learned that a second car, a Toyota Camry driven by Walters, was racing the BMW driven by Santiago at the time of the crash. Investigators say Santiago and Walters were racing eastbound on Route 422 when Santiago lost control of his car, crashed through the right guard rail, became airborne. The car traveled off the roadway, struck trees and came to rest on its roof. Investigators determined that Santiago was driving at a minimum speed of 121 mph just before the crash. 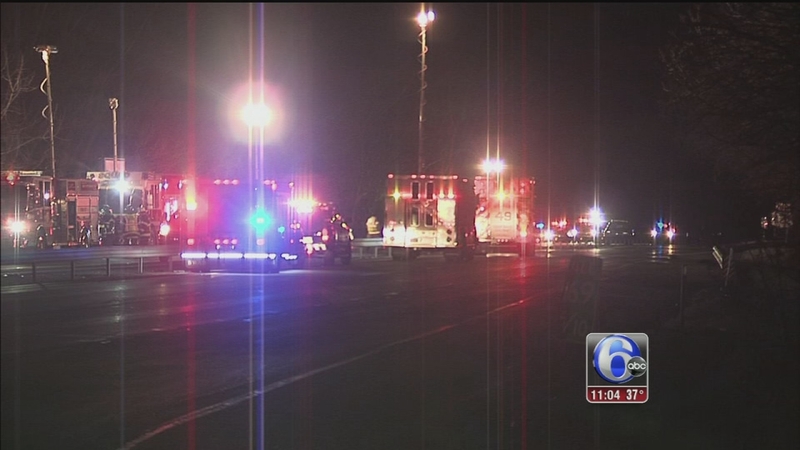 Authorities say the area of Route 422 is a work zone, and the posted speed limit is 40 mph. Officials also determined that Santiago and Walters were engaged in a previous race that took place on Route 100 approximately one hour before the fatal crash on Route 422. Investigators downloaded a video of the earlier race from Walters' cell phone. The video was taken by Walters as he was racing Santiago. During the video, the speedometer in Walters' Toyota is visible and, at one point, they say, indicated a speed of 140 mph. "A murder charge is not the typical charge in a vehicular homicide. But the sheer indifference to the value of human life and the recklessness displayed by these defendants rose to that level," said Montgomery County District Attorney Kevin R. Steele. "The sustained recklessness of racing more than 100 mph an hour before the crash on a different roadway and then again on Route 422 rises to the level of malice and to third degree murder. Two people and an unborn child have died at the hands of these drivers." Both Santiago and Walters are charged with two counts of Third Degree Murder, one count of Third Degree Murder of an Unborn Child, two counts of Homicide by Vehicle, Recklessly Endangering Another Person, and related offenses. In addition, Santiago is also charged with Driving Under the Influence because his blood tested positive for the presence of THC (marijuana), and Walters is also charged with Unsworn Falsifications for lying to police in his initial statement about a Dodge Charger with Delaware license plates being the second car involved in the crash. Santiago was arraigned Thursday and was denied bail. He was remanded to the Montgomery County Correctional Facility. He also waived his preliminary hearing. Walters is described as a black male, 6'3, 175 pounds. He drives a white Toyota Camry with a gold hood, roof and rims with a Washington, D.C. license plate. Anyone with information on Walters' whereabouts is asked to call Montgomery County Detective Bureau at 610-278-3368.